Get all the features and protection of our Managed Antivirus Solution, plus FREE remote infection removal. A single infection removal can cost $200 or more. So relax and let one of our Support Team fix your infected computer online, at no cost to you! Our customized removal techniques will detect and eliminate even deeply rooted infections and get your computer back up and running smoothly. We&apos;ll remove viruses and malware from your computer for free. All you need is NexLynx Managed Antivirus Protection Gold and our Support Team of malware removal specialists will eliminate the infection. Malicious software is tricky even with the best antivirus and malware protection, you click on the wrong link, open the wrong attachment and now your computer has slowed to a crawl, you’re infected! NexLynx has the expertise and tools to safely remove even the deep rooted infections remotely over the Internet and without any data loss. Easily installed over the Internet in only a few minutes. 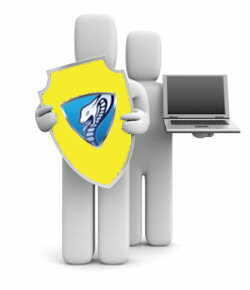 A low fixed monthly cost that includes both Remote Managed Antivirus protection and removal of any infections. No need to unplug and carry in your computer; most removals can be performed remotely over the Internet. We&apos;ll verify Windows Updates are functioning correctly, to lower chances of future infections. We&apos;ll ensure your valuable files are not lost. If repair is not possible over internet connection you may choose to deliver the computer to our office for repair. If you prefer, a NexLynx technician can perform the repair onsite. Our standard travel charge would apply. Virus Remediation must be scheduled during business hours. Confident you'll never get infected? Then select our NexLynx Managed Antivirus without the FREE removal service.